Squirrel, Terra Nova National Park, September 2008. Newfoundland has fewer varieties of animals than the mainland. Among the animals native to the island are the black bear, woodland caribou, otter, muskrat, fox, and lynx. Moose are fairly numerous. 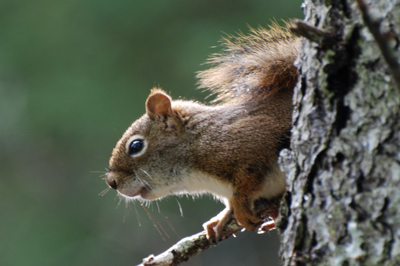 They are not native to Newfoundland, but were introduced to the island early in the 20th century, as were the squirrel, coyote en several species of mice. Moose at the Northern Peninsula, August 2006. 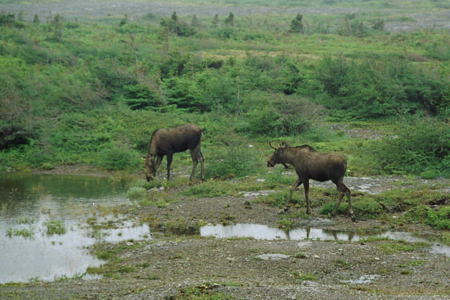 Moose were not native to Newfoundland but were introduced here more than a century ago. In 1878 a bull and a cow were brought from Nova Scotia and released at Gander Bay. In 1904 two bulls and two cows from New Brunswick were released near Howley. From these beginnings the present population totals almost 125,000 and to-day moose can be found almost anywhere on the island. The moose is the largest living member of the deer family. Adult moose weigh 385-535 kg and have a shoulder height of 180 cm. Be cautious year-round when driving, especially at dusk or dawn. Back fox at Sleepy Cove, August 2008. Newfoundland's Red Fox comes in a range of colours- red, black, silver, yellowish, and a mixture of colours called a patch phase. 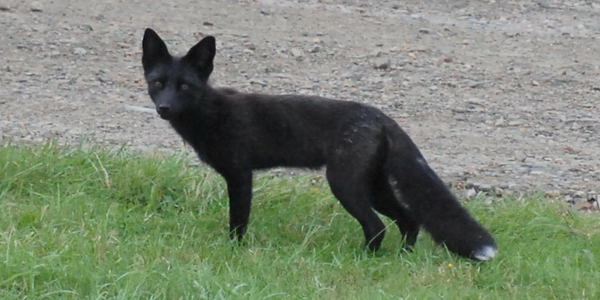 In 2008 we have seen a black one in Sea Breeze Municipal Park at Sleepy Cove near Twillingate. 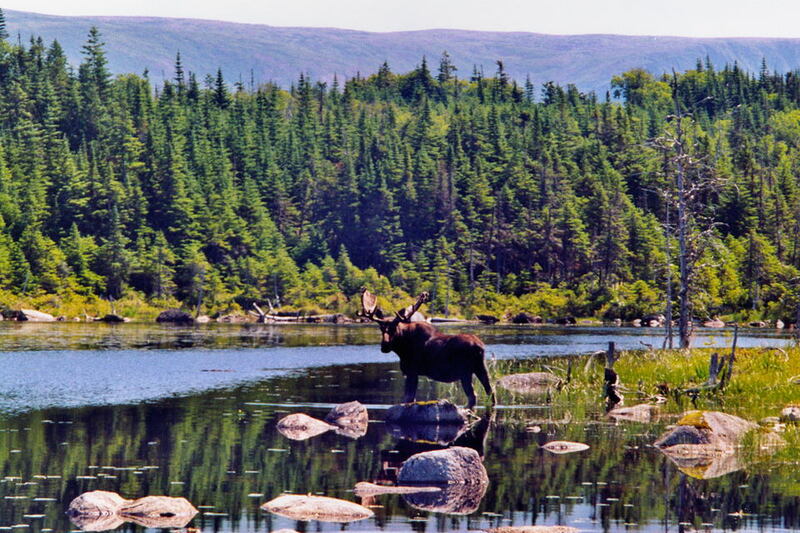 A moose drinking in Berry Hill Pond, Gros Morne National Park, July 2002.